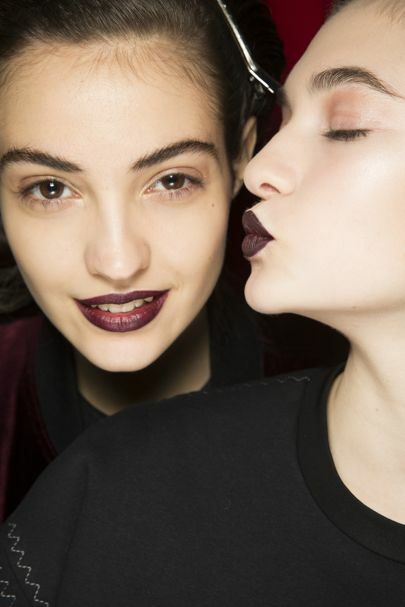 lPlum, burgundy, blackcurrant, claret, aubergine – this season’s sensational lipstick hues are distinctly dark. 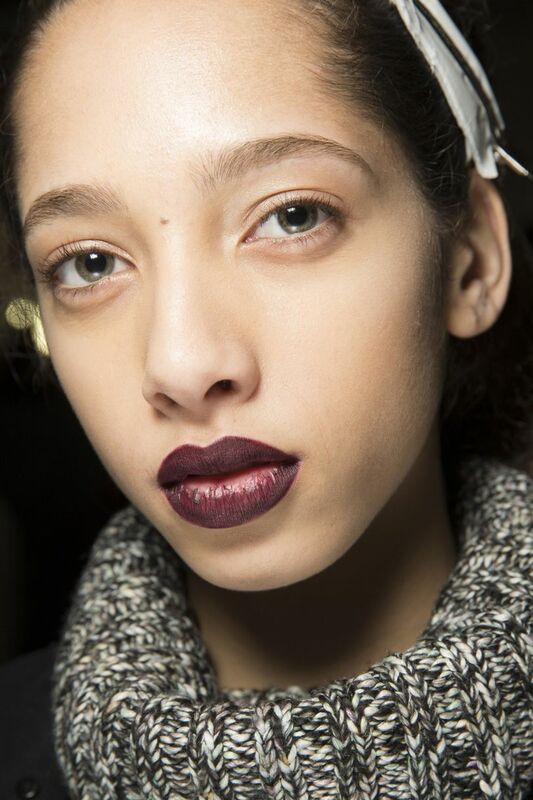 From velvety purples at Rodarte and Marni to gleaming berry pouts at Louis Vuitton and Christian Dior, make-up artists kept skin clear and natural and eyes minimal at the autumn/winter 2016 shows, leaving stunningly deep and dark lips to become the main focus. But don’t be scared about looking at the dark side – a well-selected currant hue is outstandingly embellishing for party season, whilst a lusciously dark stain right away dresses smartly in jeans and a cashmere jumper for pleasant winter days. See the classical examples from the catwalk down here. 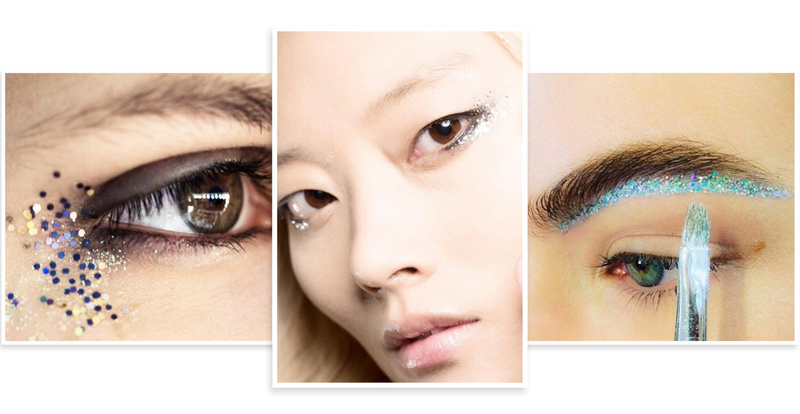 Peter Philips used lashings of mascara to meticulously neutralize the blackcurrant lips at Christian Dior, making a tough-girl grotesque beauty. 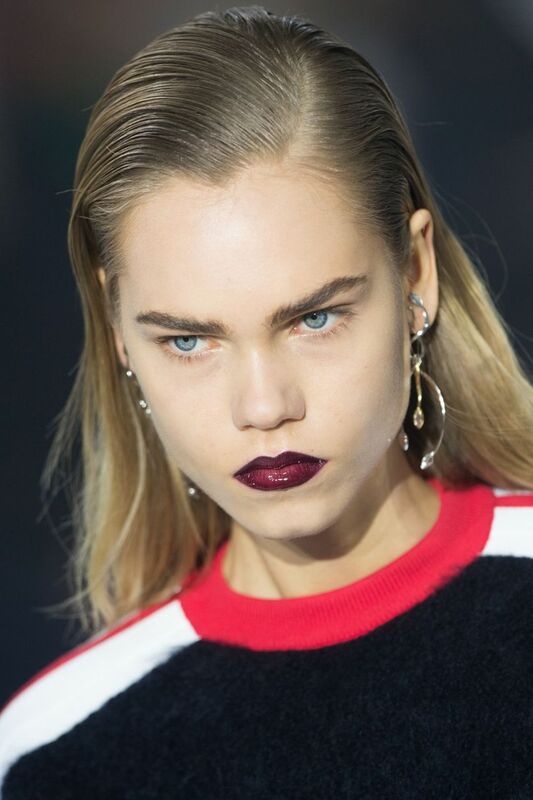 Demonstrating the power of a dark deep lipstick to totally transform an otherwise flagrant look, Pat McGrath’s glistening berry-toned pouts at Louis Vuitton were highlighted by heavy-metal accessories and side-slicked hair. 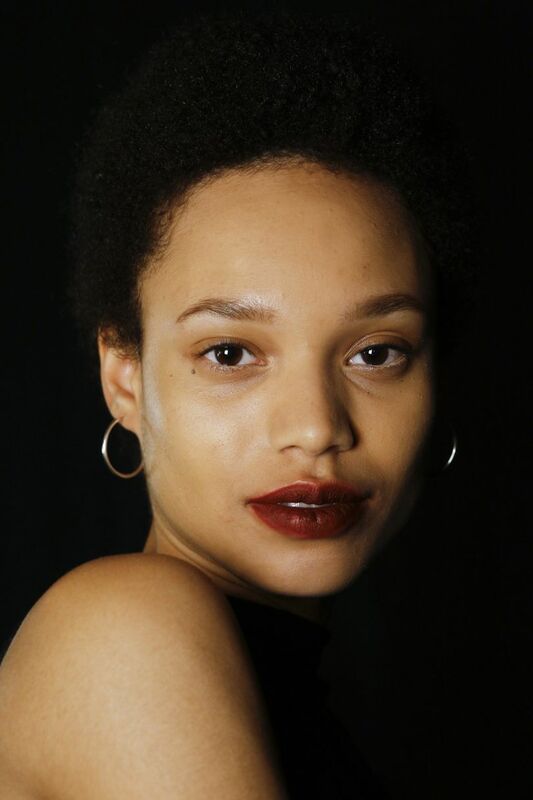 Dark lips can be smoochy too – just look at the ethereal look made by James Kaliardos at Rodarte, offsetting Nars’s bold Lipstick in Liv and Velvet Matte Lip Pencil in Train Bleu with shiny, pearlescent skin. 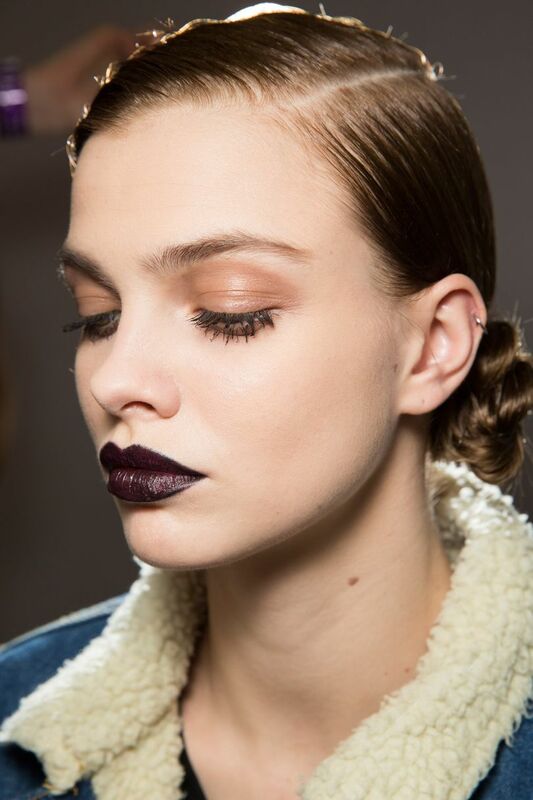 Val Garland explained the stained burgundy lips she created at Erdem as “extremely reminiscent of Jean Harlow and exciting the spirit of the Thirties Hollywood Boulevard”, set against lively and fresh skin and mascara-free eyes. 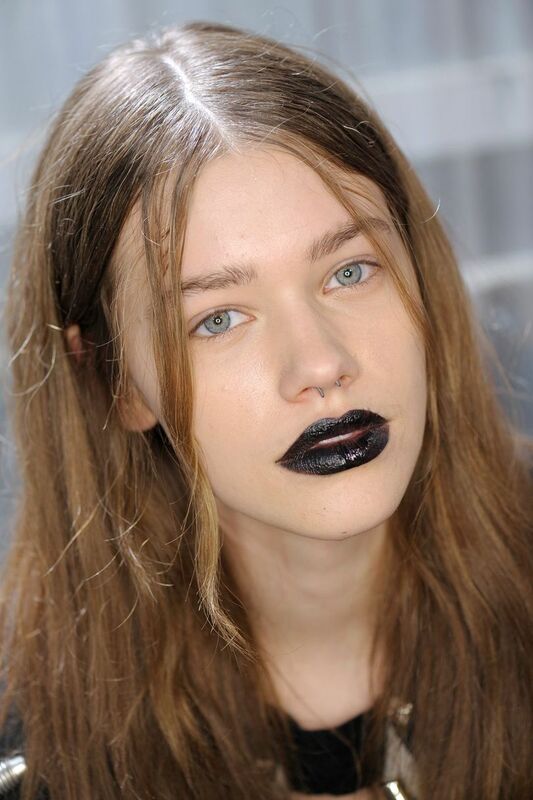 Have you ever dared to wear black lipstick? François Nars didn’t hesitate at Marc Jacobs’s autumn/winter 2016 show, where he created a jet-black matt lip offset by outlandish dark eyes. 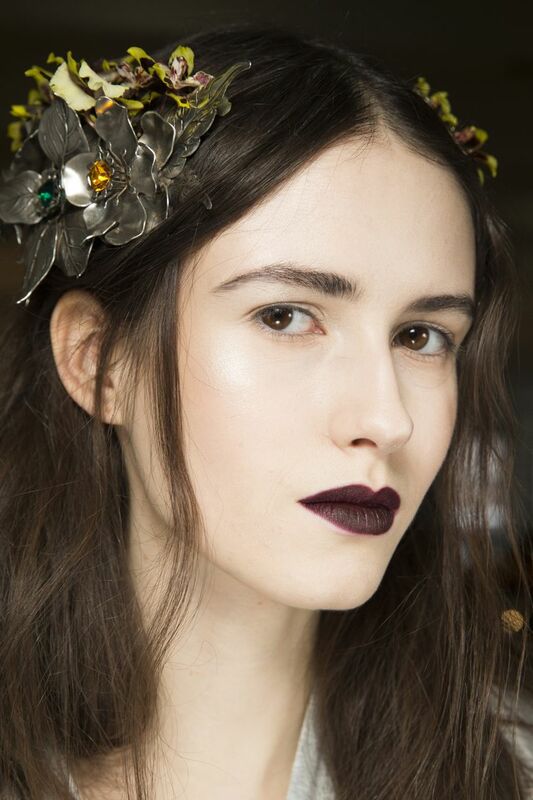 To try a pitch-black lip yourself, think about combining with radiant skin and gently defined eyes. The main factor in picking a lipstick should be getting one that’s perfect for you. At Max Mara, Tom Pecheux used four different shades of red on the models, coating with MAC Lip glass for a lustrous and glossy finish. Tom Pecheux described the rightly-applied plum lips at Marni as “vintage film noir”, worn against bare skin for extraordinary impact. 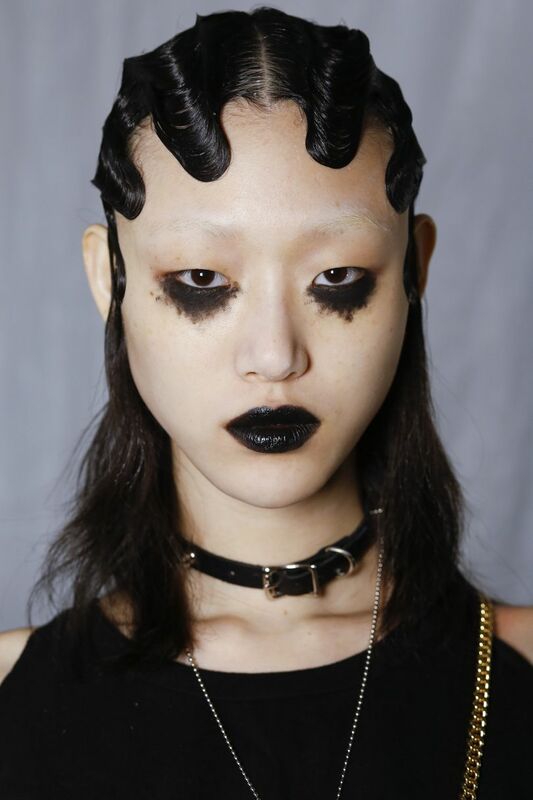 Influenced by Japanese punk couture, Val Garland created a dazzling and eye-catching monochrome look at Vivienne Westwood, centred around an explicitly wearable jet-black lip.